India is a melting pot of different cultures, playing host to the world’s largest Hindu, Sikh, Jain, Zoroastrian, and Bahá’í populations. Also home to sizable Muslim, Christian and Buddhist minorities, it is little wonder it is possible to celebrate a different festival almost every day of the year. Tourists from around the world are drawn to these events, with hundreds of thousands of visitors travelling around the country in celebration. Here Breaking Travel News takes a look at the long procession of festivals which take place each year, from the harvest festivals of the south, the immersion of Ganesh in Mumbai, and the Car festival of Puri, to snake-boat races in Kerala. Starting the year off is Pongal, a three day festival celebrating the end of the harvest in southern India, largely centred on Tamil Nadu, Andhra Pradesh and Karnataka. The event is one of the biggest celebrated in southern India and is a thanksgiving for the plentiful harvest received. Celebrated on January 26th, Republic Day commemorates the date on which the constitution of India came into force as the country completed its journey to independence from the United Kingdom. While the main parade takes place in the national capital, New Delhi, at the Rajpath before the president, the anniversary is also celebrated with varying degrees of formality in state capitals and other centres. In north India Vasant Panchami is celebrated on the first day of spring each year. The Hindu festival praises the goddess of knowledge, Saraswati, with children traditionally taught to write their first words. The colour yellow also plays a significant role, with many people wearing festive dress. Observed nationwide, Maha Shivratri pays homage to the Hindu lord Shiva. Celebrated in the dark fortnight or Krishna Paksha (waning moon) of the month of Maagha, the devout present offerings of bael to Shiva, while also undergoing an all-day fast and all-night-long vigil. A week-long Maha Shivratri fair held in Mandi in the state of Himachal Pradesh each year is one of the major tourist attractions in the state. Perhaps one of the better known festivals outside of India, Holi - known as the festival of colour - sees the throwing of coloured powders. A public holiday in India, the event has particular significance in the Braj region, and in locations traditionally connected to the lord Krishna, including Mathura, Vrindavan, Nandagaon, and Barsana, which become tourist destinations during the season. In Goa, Mardi Gras is a period of feasting before lent, while across the country Ramnavami remembers the birth of Rama with folk plays. One of the most important celebrations on the Hindu calendar, Kumbh Mela takes place every three years in one the four great holy cities of Nasik, Ujjain, Prayag and Hardwar. 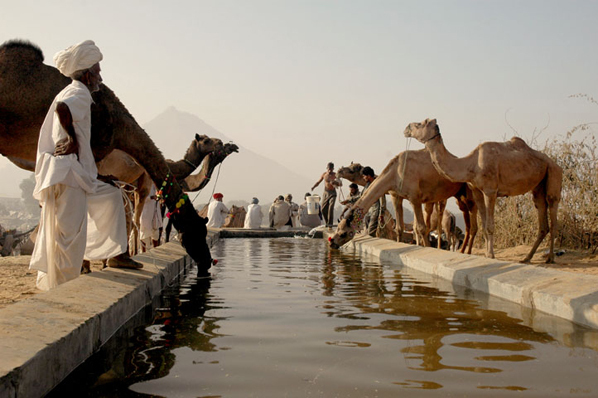 The event is a mass pilgrimage to the Ganges, where followers bathe to seek purification from sin. The most sacred of all pilgrimages, the event welcomes up to 75 million people, with other activities including devotional singing, mass feeding of the poor and religious assemblies. Held on April 13th in 2013, Baisakhi festival marks the beginning of the solar year, where Indians, particularly in the Punjab, thank god for a good harvest. Processions and traditional performances are the highlights of the day, including large number of elephants carrying ceremonial umbrellas to temples and midnight fireworks displays. Id-Ul-Zuha is the most significant festival for the Muslim community in India, commemorating the sacrifice of Abraham. This festival coincides with the Haj pilgrimage in Mecca, with prayers offered in mosques before the sacrifice of livestock. Id-Ul-Fitr follows, a celebration to mark the end of the month of Ramadan. 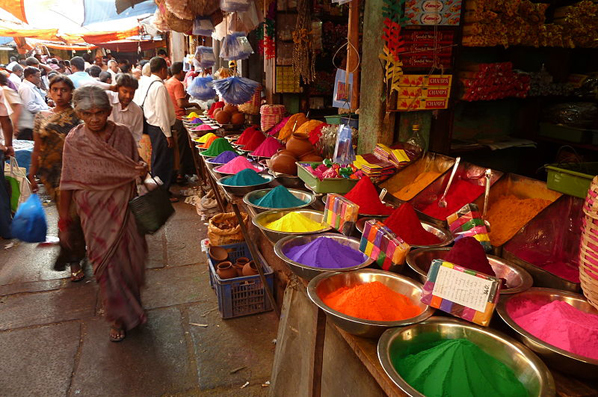 At the same time, Urs festival is an annual fair held in Ajmer, a city in the Indian state of Rajasthan. The event commemorates the anniversary of the death of the Sufi saint Moinuddin Chishti, founder of the Chishtiya Sufi order in India. It is held over six days and features night-long zikr qawwali singing, with thousands of pilgrims visiting from all over India. 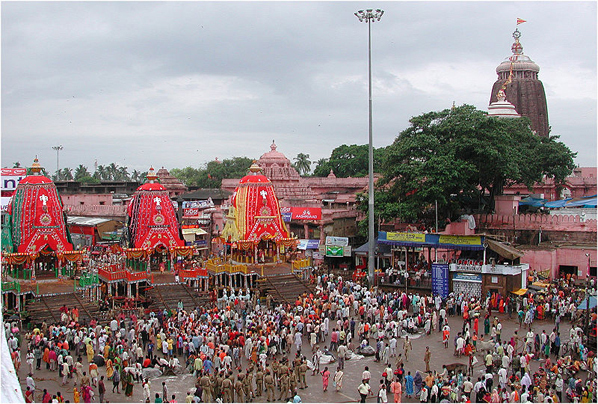 Ratha Yatra, or the Car festival, is a huge Hindu festival associated with Lord Jagannath, held at Puri, Orissa. This annual festival is celebrated on Ashad Shukla Dwitiya (the second day in bright fortnight of Ashad). During the event, idols of Lord Puri Jagannath, Lord Balabhadra and Subhadra are taken out in a procession to Gundicha Temple and remain there for nine days drawing huge crowds. In Jodphur, Rajasthan and Maharashtra, Nāg Panchamī is celebrated on the fifth day after Amavasya of the month of Shraavana. The festival sees Hindus worship live cobras, while women swing from trees. Another official celebration takes place on August 15th, Independence Day. During the event the prime minister delivers a national address from the Red Fort in Delhi. The holiday is observed throughout India with flag-hoisting ceremonies, parades and cultural events. Indians celebrate the day by displaying the national flag on their attire, accessories, homes and vehicles; by listening to patriotic songs, watching patriotic movies; and bonding with family and friends. Taking place on August 28th in 2013, Janmashtami celebrates the birth of Krishna - one of Hinduism’s most beloved deities. According to Hindu belief, Krishna was born at midnight on the eighth day of the dark fortnight in the month of Bhadrapad. The day before Janmashtami is one of prayer and fasting, which continues till midnight and beyond, when an idol of the god is placed in a cradle and rocked. Janmashtami celebrations in Mathura and Vrindavan are famous all over the world as these two are the places where Lord Krishna spent his childhood. All the main temples in Vrindavan are decked up with lights and the idol of the God is ceremonially bathed in a mixture of milk, honey, yoghurt, dry fruit and tulsi leaves - all of which is then distributed as prasad. Later in the month Onam, the harvest festival in Kerala, sees spectacular snake boat races take place across the state. Centred on Aranmula, near a temple dedicated to Lord Krishna, thousands of people gather on the banks of the river Pampa to watch the races. The oarsmen sing traditional boat songs and wear white dhotis and turbans. The golden lace at the head of the boat, the flag and the ornamental umbrella at the centre make it a show of pageantry too. 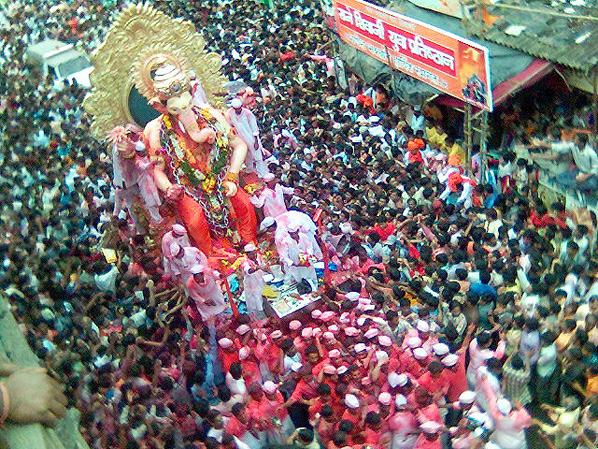 Ganesh Chaturthi, observed mainly in Pune, Orissa, Mumbai, and Madras, celebrates the elephant-headed god Ganesh. The event starts with the installation of Ganesh statues in colourfully decorated temporary structures called mandapas for ten days, before they are taken in a procession through the streets accompanied with dancing, singing, and fanfare to be immersed in a river or the sea. 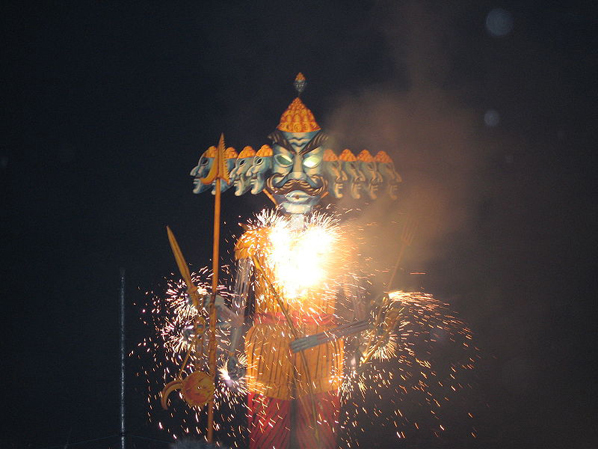 Another wildly popular celebration, well worth visiting, is Dussehra, which is observed nationwide. A Hindu festival, it celebrates the victory of good over evil. Many people of faith observe Dussehra through special prayer meetings and food offerings to the gods at home or in temples throughout India. They also hold outdoor melas and large parades with effigies of Ravana (a mythical king of ancient Sri Lanka). The effigies are burnt on bonfires in the evening. Many Hindus also believe that it is lucky to start a new venture, project or journey on Dussehra. Now a common sight around the world, Diwali - the festival of light - is one of the most lively and colourful in India. The festival starts with Dhanteras on which most Indian business communities begin their financial year, while the second day of the festival is called the Naraka Chaturdasi. Amavasya, the third day of Diwali, marks the worship of Lakshmi, the goddess of wealth, and the fourth day is known as Kartika Shudda Padyami. The fifth day is referred to as Yama Dvitiya and on this day sisters invite their brothers to their homes. During Diwali, all the celebrants wear new clothes and share sweets with family members and friends, while lamps are lit across the country. Animal fairs take over later in the year. Bihar, the largest cattle fair in the world, takes place for a month in Sonepur, on banks of the Ganges, while Pushkar Mela welcomes camel traders from across the region. Rounding off the year, the Christian community celebrate Christmas Day on December 25th, largely in Goa, with a feast in celebration of the birth of Christ. More information on all of these festivals can be found on the Incredible India website.